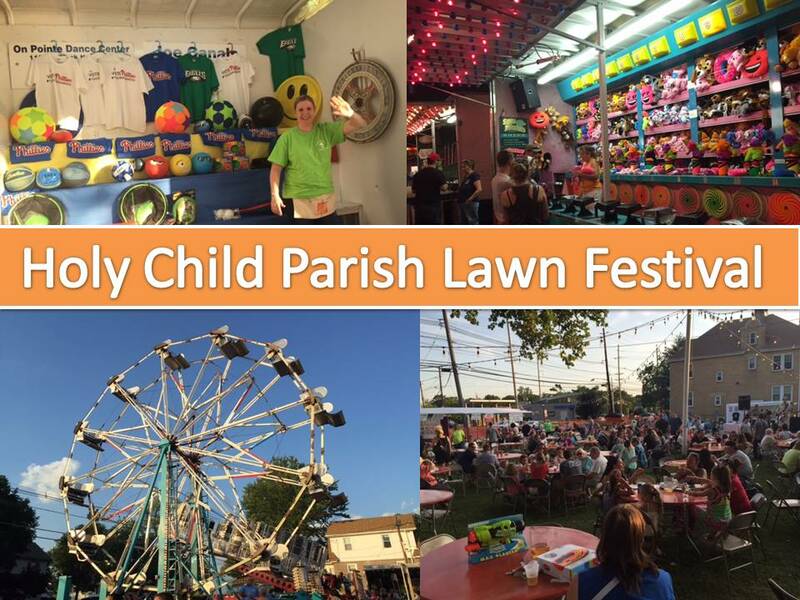 The Lawn Festival is held every Summer during the last full week of June on the grounds of St. Teresa School. Donate cans of soda or bottles of water. Volunteer to work in the booths, the kitchen, the beer garden or to sell tickets. Daytime help is needed to prep the food for each night, clean the tables and generally prepare for the evening’s guests. For $75.00 you can purchase a small sign (1 ft x 2 ft.) or for $125.00 a large sign (19 in. x 48 in.) that will be displayed along Evesham Road the week prior to the Festival and the week of the Festival. This will allow thousands of drivers traveling up and down Evesham Road to view your business name. Every night during the Lawn Festival, your advertisement will be announced in the Beer Garden. All sponsorships will be acknowledged in the parish bulletin distributed at both churches. For more information, call the Parish Office at 856-939-1681.